I'm really excited to be able to share my latest piece of work, a commercial commission brought to me by my agent, Rare Bird. I was asked to illustrate the front cover (yes, front cover!) 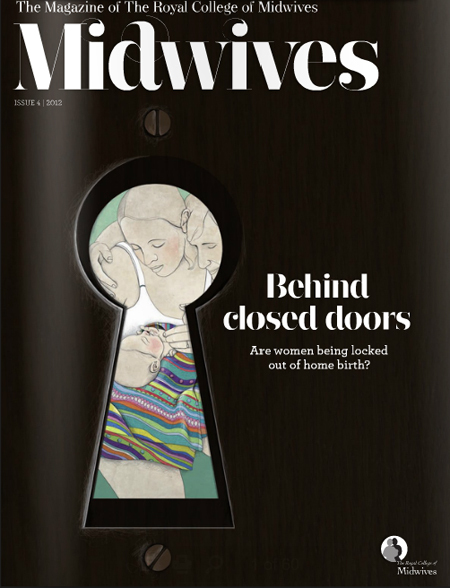 of the latest issue of Midwives Magazine, the magazine for The Royal College of Midwives. 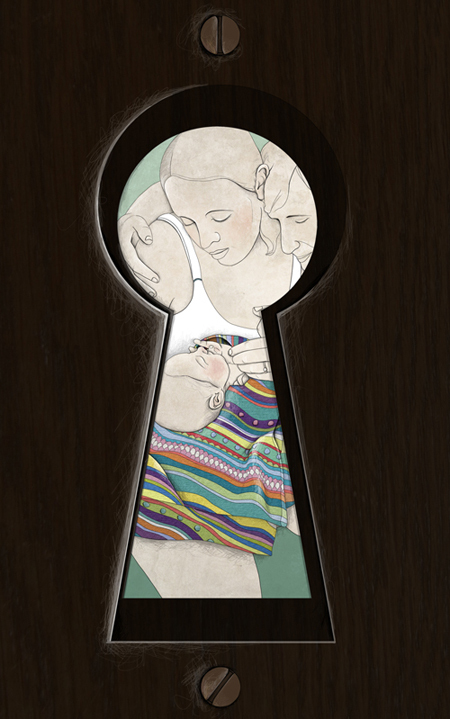 The illustration was based on an article looking at the issue of women not being able to give birth in the way they chose and feeling "locked out" of natural home births. 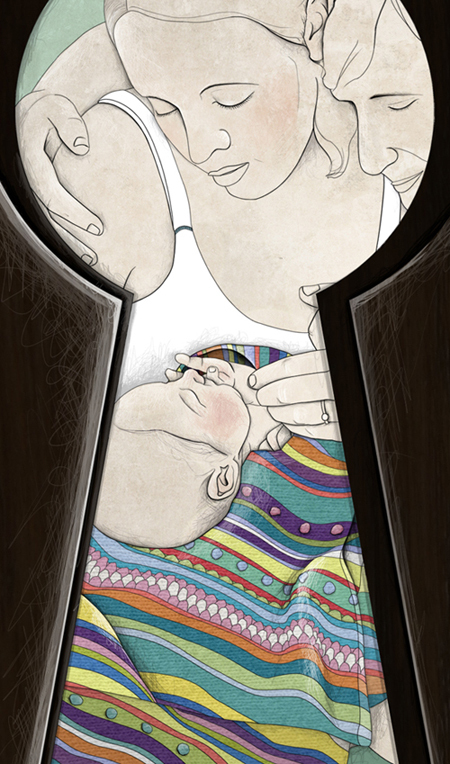 I loved the brief, creating a beautiful home birth scene of a new family. It was a little scary, but perfect for my style. I was helped greatly and given great freedom with the piece. I hope you like my illustration! I started with the central illustration but loved bringing it all together with the door and detailed features, such as the screws. I wanted to add colour to the illustration, so decided to do this using the baby's blanket. I found the most perfect blanket on Little Woollie's blog. This beautifully crocheted blanket was the inspiration for my illustrated version. I love the colour and patterns and really enjoyed reading about the process and seeing the initial sketches too. Thank you Julie for allowing me to use your blanket in my work! And below is how the piece looks in context. I should be receiving my own copy soon, so I'll take some pictures when that arrives. I still can't quite believe that my illustration is on the cover of a magazine for all to see. I love that it's being used for such an important topic too. Midwives do such an amazing job, I'm so proud to be in this magazine! This is gorgeous Abby! Congratulations! I'm chuffed for you!